Page volumes are migrating to printers. We get things via e-mail and we print them out. 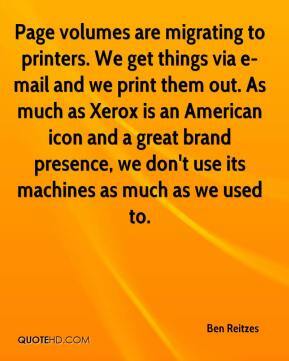 As much as Xerox is an American icon and a great brand presence, we don't use its machines as much as we used to. 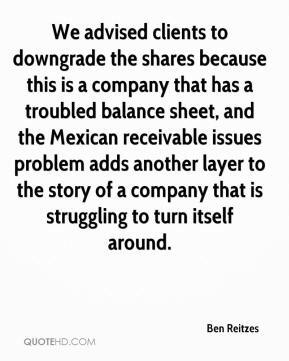 We advised clients to downgrade the shares because this is a company that has a troubled balance sheet, and the Mexican receivable issues problem adds another layer to the story of a company that is struggling to turn itself around. I'm very cautious about companies that have too much exposure to copiers. 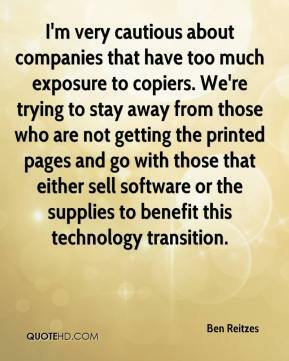 We're trying to stay away from those who are not getting the printed pages and go with those that either sell software or the supplies to benefit this technology transition. 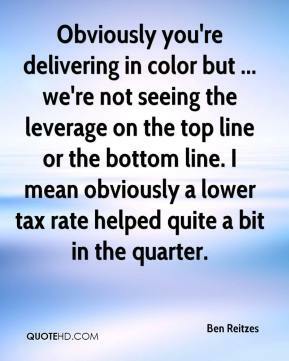 Obviously you're delivering in color but ... we're not seeing the leverage on the top line or the bottom line. I mean obviously a lower tax rate helped quite a bit in the quarter.